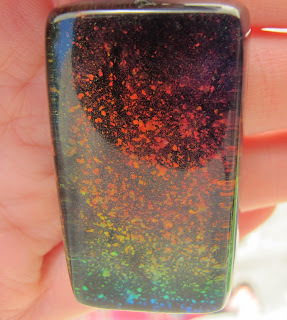 Never Enough Nails: Amazing Nail Polish Gem Pendants from Workshop760! 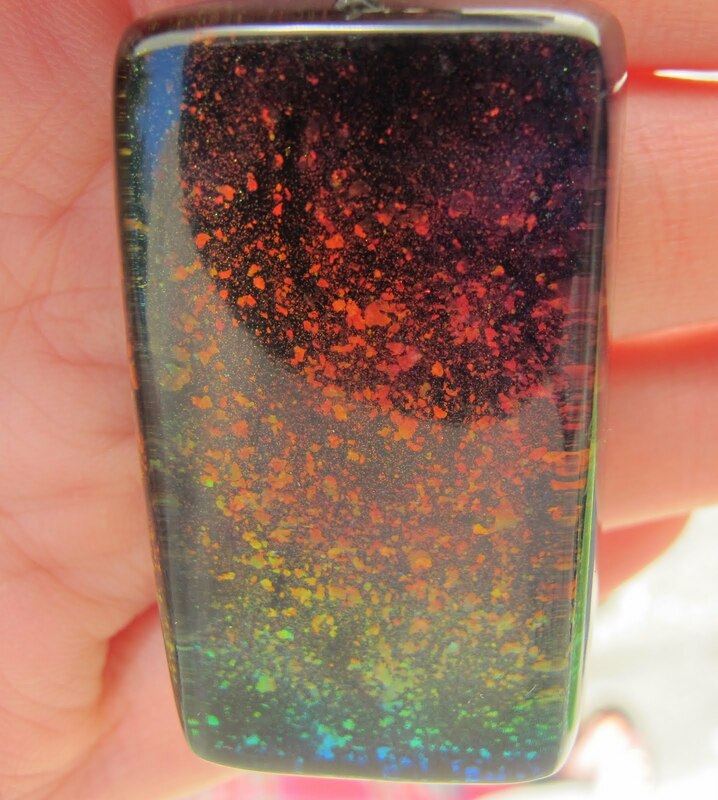 Amazing Nail Polish Gem Pendants from Workshop760! Recently, I had the extreme good fortune of being contacted by the creator of the Etsy shop, Workshop760. 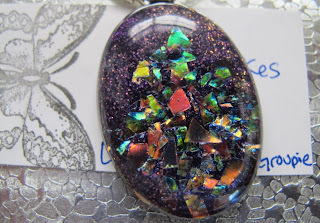 Cara is a fellow polish blogger and makes AMAZING necklaces of nail polish encapsulated in resin pendants. Cara contacted myself and a few other polish bloggers to see if we would be interested in reviewing her creations. Being a jewelry lover, I immediately said YES! I went to her Etsy shop right away to check out her pieces. I was so lucky to receive TWO of her beautiful necklaces. Each of Cara's necklaces come with a little tag, indicating what polishes and materials were used to create them. 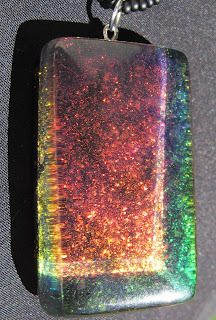 This first pendant was made with Nfu Oh #51. 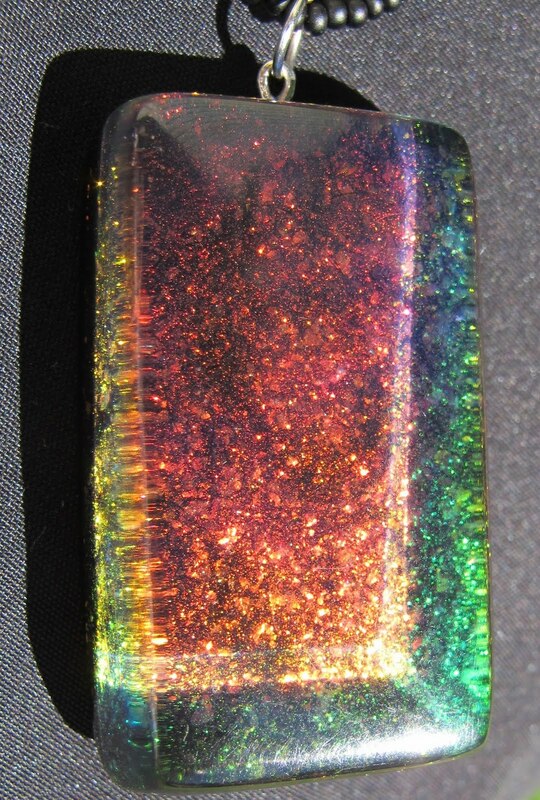 As you can see, it's a beautiful rainbow of colors, shifting between red, orange, green and blue, depending on the light. 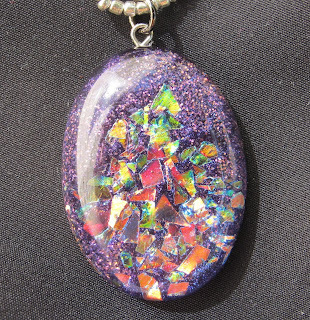 The iridescent flakes in the polish are very visible in the pendant and add to the color-changing rainbow effect. 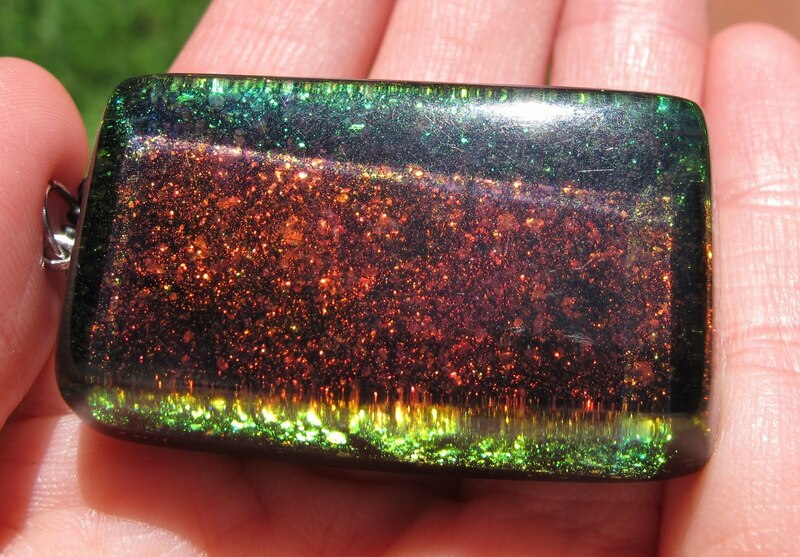 This is a seriously gorgeous rectangular pendant, and I admit to spending a long time just staring at it last night. 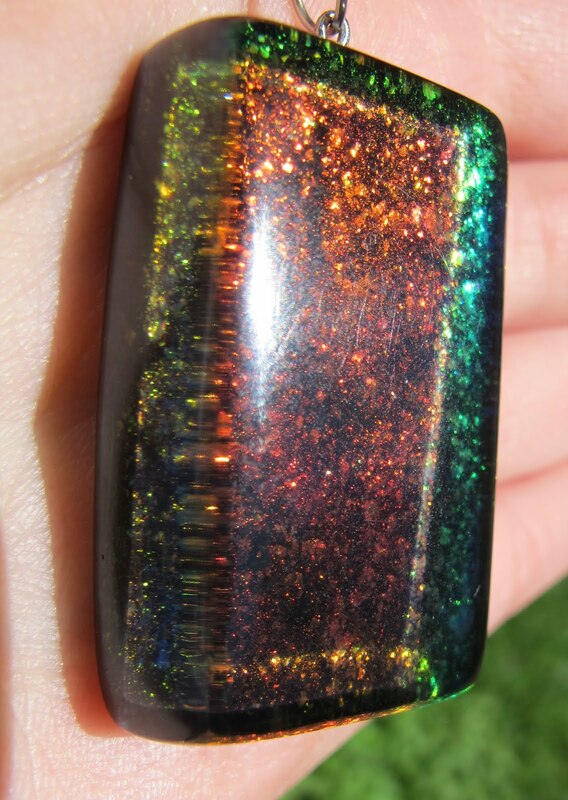 I know there are a few people out there making nail polish jewelry right now, but I think Cara is different. 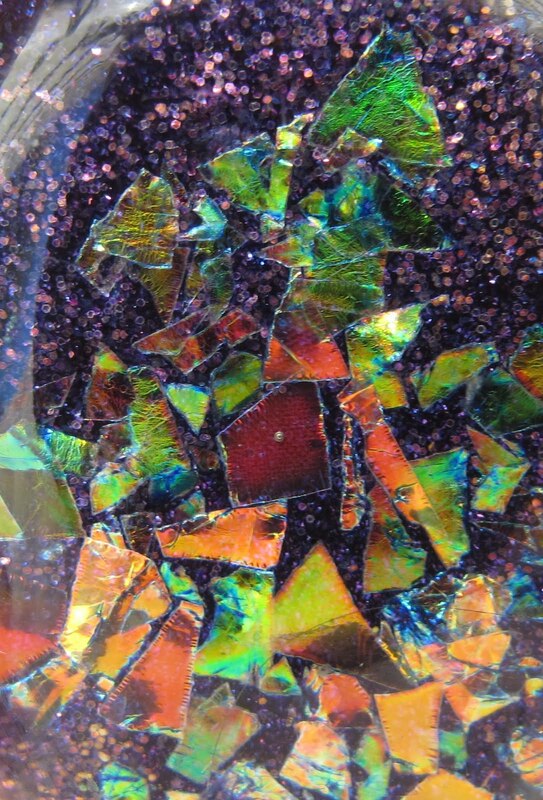 For one thing, this is nail polish encased in resin, not painted on the back of glass. For another, the pendants come on these beautiful hand beaded necklaces (see above) with gorgeous (and easy to fasten!) silver toggles (below). Both the beaded necklace and the silver toggle seem very high quality to me. I much prefer the beaded necklaces to the cords that many pendants come with. 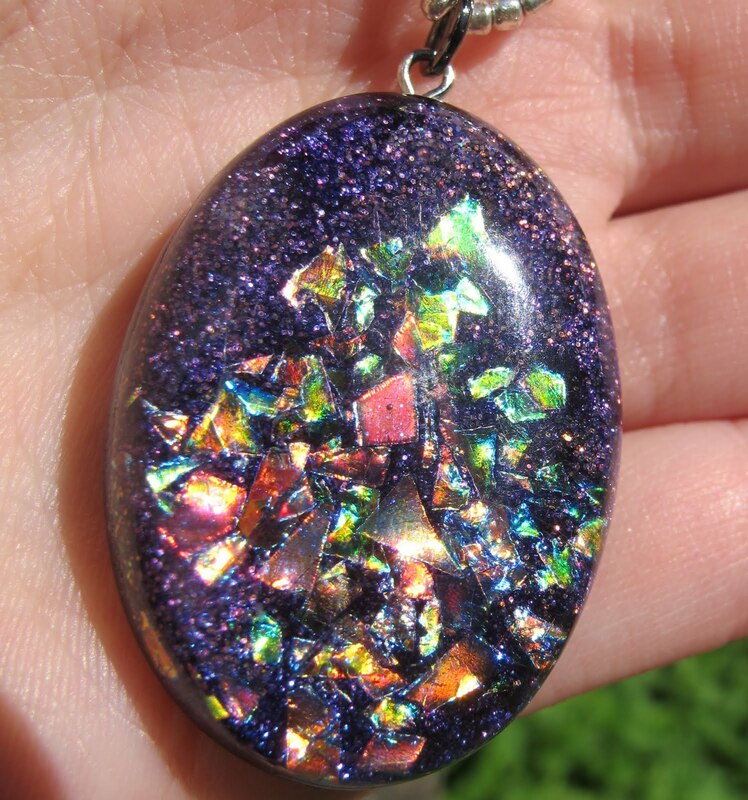 To put a necklace this pretty on a plain black cord always seems silly to me. The beads are a nice touch. I took about a billion pictures of both necklaces, but come on, they are SO pretty!! You would have taken a lot of pictures too! Despite the hefty size of the rectangular pendant, it was not heavy feeling when worn. Yes, I wore this one already. I got these in the mail yesterday and wore this one out last night! The second pendant I received was made from Nfu Oh nail art flakes (must look into these! 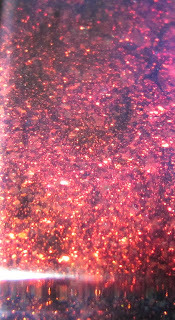 ), glitter, and LA Girl Rockstar Groupie. I told Cara that I loved purple, and boy, she really nailed this one. If I had to pick a perfect pendant for me, it would look exactly like this. 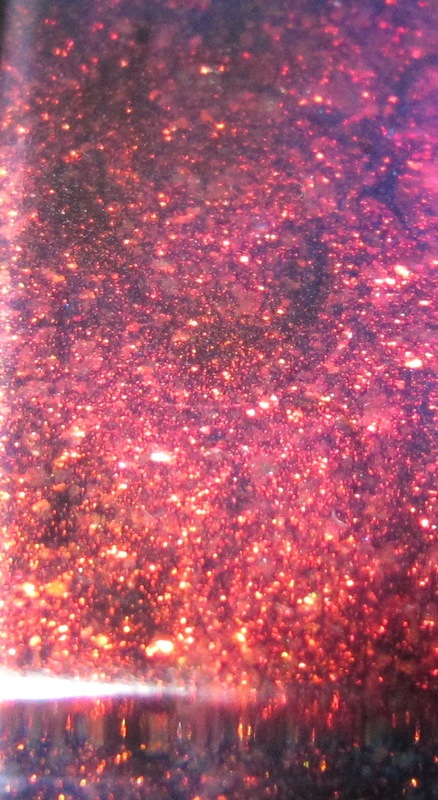 Purple, loads of glitter, and giant rainbow-y flakies! AWESOME. I am planning on wearing this one basically everyday of my life. It's just too amazing. It also felt super light and comfortable when I tried it on. Lighter than you would expect! I am thankful that these come with the silver toggle, as it is easier for a klutz like myself to fasten. 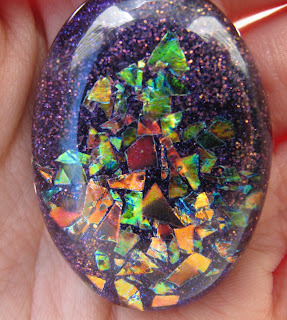 Plus, it's quite pretty itself. Please click on the above picture to enlarge it, and feel free to drool. 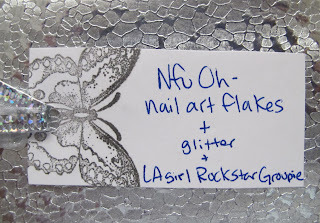 The glitter Cara used in this one is really pretty, and obviously the nail art flakes are probably the coolest things I've ever seen. Below is the little tag that came with each necklace. 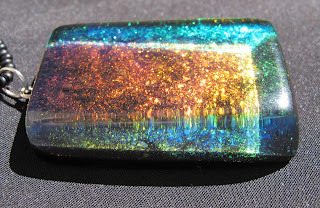 I like that she tells you exactly what was used in the making of your pendant. Now I have to go purchase Nfu Oh nail art flakes, Nfu Oh #51, and LA Girl Rockstar Groupie LOL. 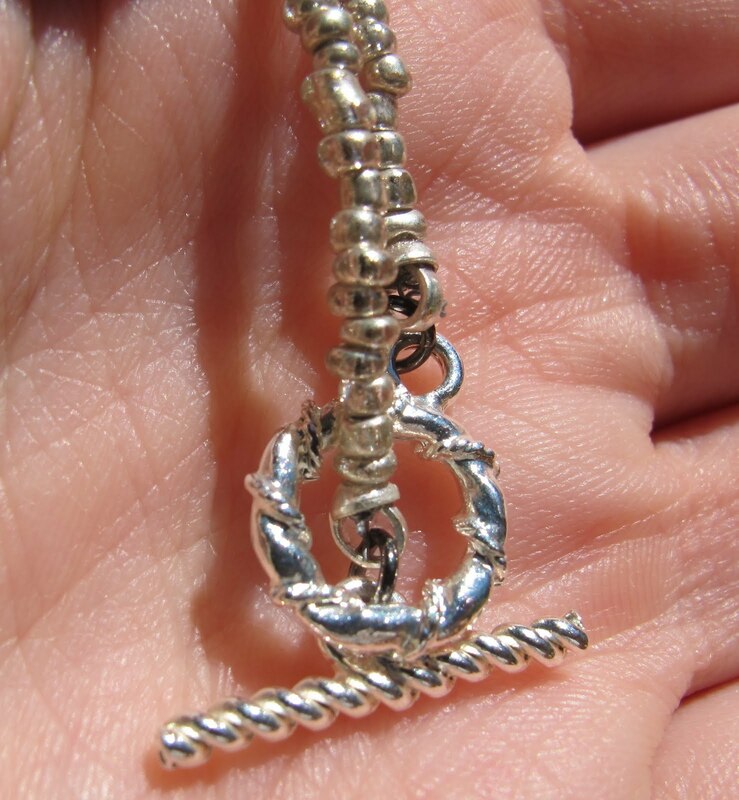 This beautiful pendant came with a silver beaded necklace, you can just see the edge of the silver beads in the picture below. 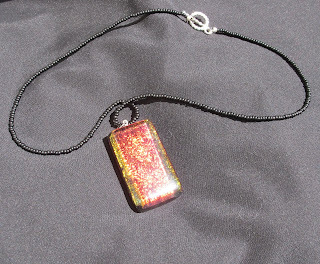 I thought that was a nice touch, as the silver beads went nicely with this particular pendant. Overall, I was really impressed with the quality of these necklaces. I was also struck with just how beautiful these are. 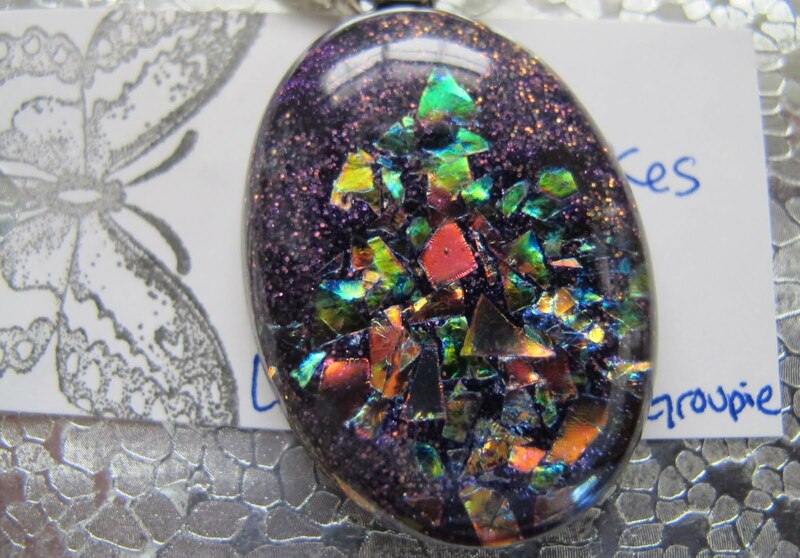 I think Cara really uses outstanding polishes in her pendants, and adding in extra glitter and nail art flakes is genius. 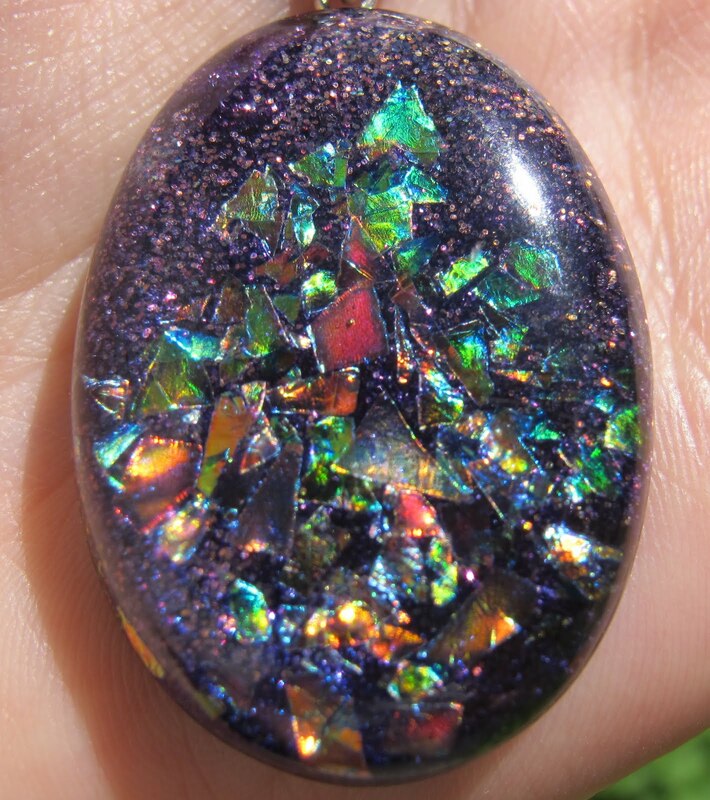 From the looks of her Etsy shop, she uses only the coolest polish available, Nfu Ohs, glitters, flakies, duochromes- all of a nail polish addict's favorites. I love these necklaces SO much, in fact, that I am ordering another pendant from Workshop760. I will, of course, post pictures when I receive it! These are really unique pieces of jewelry that you won't be able to find it stores. 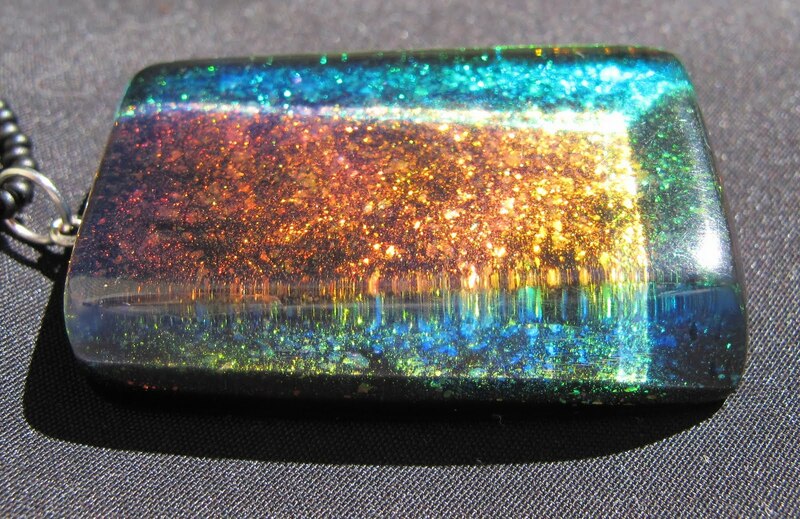 They are a way to take your love of polish to the next level, but to the average person, I think they just look like really cool jewelry. Cara has quite a few beautiful pieces on her site right now and I imagine she will keep creating unique and stunning pendants for a long time. If you want pendants similar to these two, she has a GORGEOUS rectangular pendant made from Barielle Elle's Spell, and a pretty oval gem made with Nfu Oh #51. These pendants are available at Cara's Etsy shop, Workshop760. Both pendants were sent to me for review by Cara herself. For more information, please see my Disclosure Policy. Wow Erin! You are so sweet! Thank you so much for your stellar review :D I'm thrilled that you like them!!! 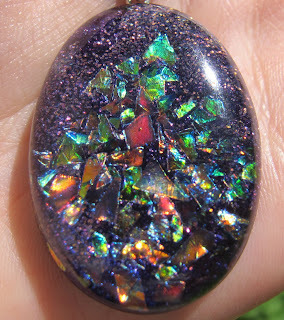 Rock-or-not- they're even prettier in person! Miranda- you're welcome, let me know if you get anything! BeautyBehaved- thanks for reading! Which one is your fav? Cara- I love them! I'll be wearing them all the time!